Obituary – Sewell, Elva May (Gordon) « Perry High School Alumni Association, Inc. Longtime Perry community resident Elva Sewell, 84, died at 4:30 a.m. Wednesday, Aug. 12, 1992, at the Golden Age Nursing home in Guthrie. Funeral will be at 2 p.m. Friday at the First Presbyterian church of Perry. Rev. Ken Waddell, pastor, will officiate. Burial will be at Grace Hill cemetery under direction of Brown Funeral home. 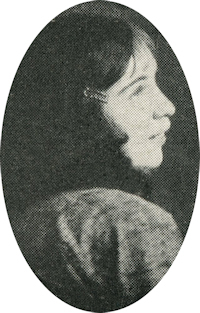 Mrs. Sewell was the daughter of Hugh and Etta Mae Gordon. She was born in Guthrie, Aug. 22, 1907. She came to the Perry community in 1919. She and Joseph E. Sewell were married in Perry on Dec. 2, 1925. 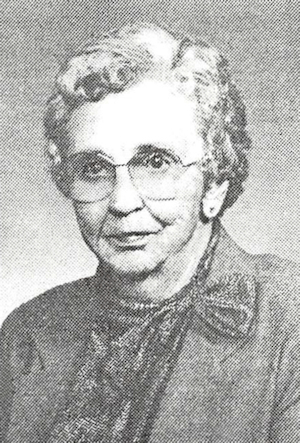 Mrs. Sewell assisted her husband in their cattle and farming operations. She was a member of the First Presbyterian church and the Black Bear home demonstration club, which later became Black Bear extension homemakers group. Mrs. Sewell was an active supporter of the local 4-H and FFA programs. Among survivors are four sons, Joseph E. Sewell Jr. and David Sewell, both of Perry, Richard Sewell, Newkirk, and Dr. James Sewell, Guthrie; eight grandsons, one granddaughter, two sisters, Mrs. Ed Schlottach, Lawton, and Mrs. Carl Moore, Guthrie; and one brother, Lynden Gordon, Lake Charles, La.